Spring Steel Wiremsh with Edge Preparation is widely used in industries for washing, sizing, scalping, and many other applications. The hook strips on the edges make these screens highly stable under greater and uniform tension. The edge preparation in the screen protects it against distortion and excessive vibration that further causes metal fatigue and breakage. 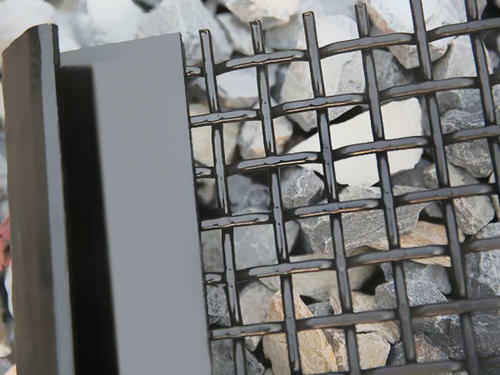 Spring Steel Wiremesh without Edge Preparation is extensively used in industries as screen deck for crusher screen, vibrating screen, quarrying screen, mining screen and other machines. 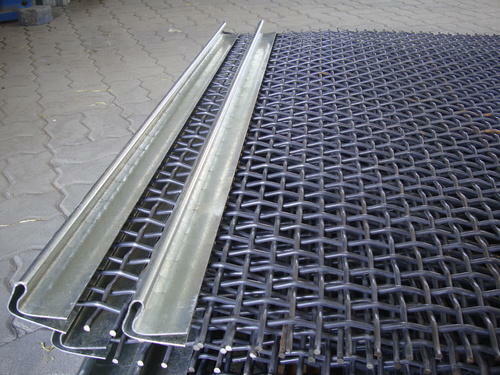 Industrial Screen Wiremesh is manufactured in wide range of wire diameters, mesh opening and open areas. 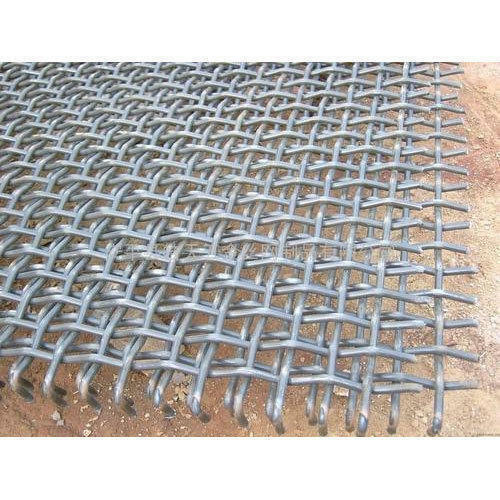 Widely used for various applications such as grading, shifting, screening, sizing, separating, scalping and washing, this wiremesh is totally protected against breakage due to abrasions and vibrations. 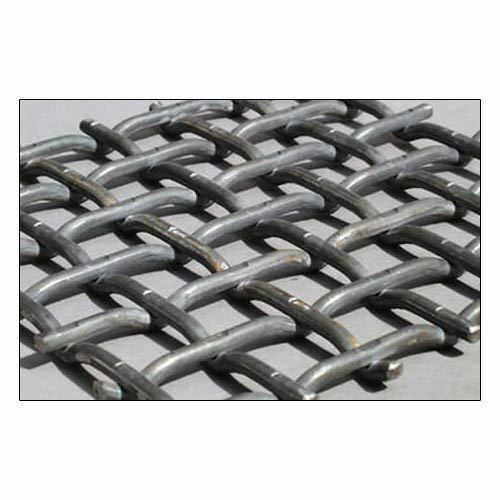 Hot Mix Plant Wire Mesh is manufactured in accordance with industry standards using high grade metals. It has excellent properties that make it capable of sustaining the most demanding conditions of metallurgy and mining industry. 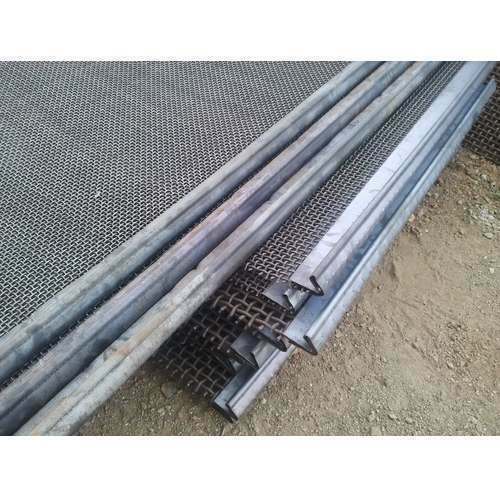 High Carbon Steel Mining Screen is widely used in industry for filtration, separation, crushing, grading, sizing and shifting. It is applicable for a variety of materials, ranging from minerals, stones and ores. Due to its rigid design and excellent protection against abrasions, it is highly suitable for processing heavy abrasive materials like crushed stones, sand and gravel coal. 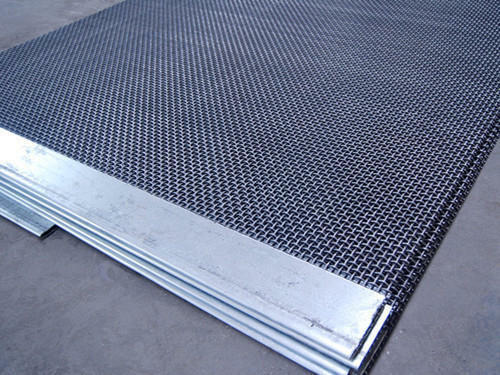 Industrial High Carbon Steel Wire Mesh is considered as the heavy vibrating screens that are widely used for screening various products and sizing or processing heavy abrasive materials such as crushed stones, ores, sand, gravel coal and many others. Opening size- from 3/ 8" to 4"